Home » Considering a Warehouse Relocation? A warehouse relocation is a significant change for any business, regardless of your warehouse size or structure. It will involve coordination from your staff, ranging from your operations to the administration department. The impact can be a vital downtime for your business if it isn’t correctly planned and set out. Many businesses are looking for a company to partner with for their warehouse relocation that gives them the shortest amount of downtime for their operations and smooth transition to your new warehouse. There are three critical components to a smooth warehouse racking relocation transition that includes planning, timing and communication. relocating to a central location. A warehouse relocation will mean that your warehouse may be out of action for a period of time. 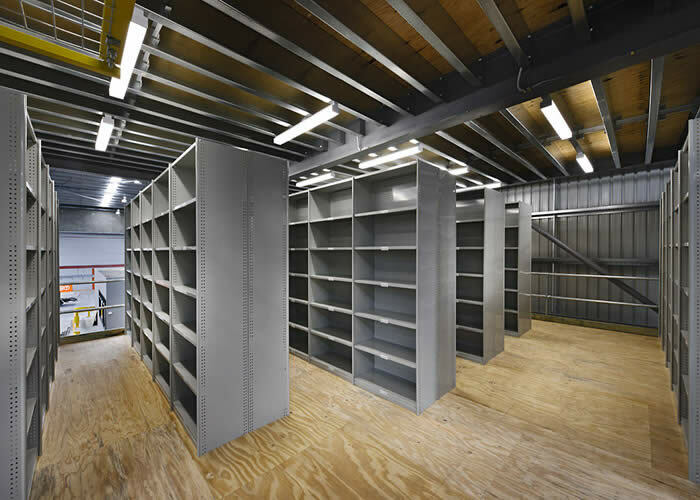 The will especially be the case if you intend to pull down your current warehouse racking and reinstall it at your new facility. Time is money for your business you will need to partner with someone who has the ability to move your warehouse with minimal disruption to your supply chain. How long can your warehouse afford to be out of action or partially able to supply orders? Will the relocation need to be coordinated over a weekend, to avoid downtime during a working week? Inventory is an important part of your warehouse move. If this part isn’t correctly planned it can result in a significant expense to your business in lost or damaged stock. Before the warehouse relocation, the stock will have to be counted to be reconciled once in the new warehouse to see if there are any discrepancies. As with moving stock, the expectation will have to be that some will possibly be lost or damaged during transportation. The expected cost of damaged or loss can be included in the relocation budget to ensure that this isn’t an unexpected cost of the warehouse move. This process of inventory management can be made easier with a Warehouse Management System (WMS). Read more about Warehouse Management Systems. Will it have enough entrance and exit doors to avoid any congestion? Is there enough floor space for the required warehouse fit-out? Does it fit into your future requirements? To avoid having to move your warehouse again. Does the warehouse design have the flexibility to accommodate amendments and business expansion? In order for a smooth transition of the warehouse facility, the communication channels between those involved have to be clearly set out. The three main communication levels include the management, the customers and the suppliers. The management must be in constant communication with staff before, throughout and after the warehouse relocation. If employees don’t have clarity around the happenings of the relocation is only increases in uncertainty and rumours which can have an impact on staff morale and retention. The staff will be more content if they are actively included in the relocation and their concerns are being addressed. Suppliers will have to be notified of the change of the warehouse address. Clear communication will have to be given as well as how they are to work the transportation of the goods throughout the warehouse move. The customers will be the key to communicate with before and during your warehouse relocation. Customers will need to be aware of the upcoming move so they can expect a delayed delivery or a cutoff date on orders before the warehouse relocation. Watch how we assisted Hettich in their warehouse relocation.